The basic facts of the case are covered here. Dominic Wilkinson has written an interesting commentary at the Practical Ethics blog--he sides with the decision of the UK court, which has been upheld at higher levels. He argues that there is too much suffering involved in continued treatment, considering the tiny chance of further treatment being beneficial. Julian Savulescu thinks, by contrast, that the parents ought to be able to bring the child to the US for experimental treatment, which has been offered by a US physician and has already been crowd-funded online. He's written several commentaries on the case, here and here. Wilkinson links to a very interesting paper he (and others) have written on the difference between the legal approaches to these kinds of problems in the US and UK. They write that courts in the UK apply a best interests of the child standard, whereas in the US, courts give more weight to parental preferences and patient autonomy. However, he says the emerging consensus among medical professionals and ethicists in the US is that the best interests of the child standard is the right one. After years of shifting standards on medical treatments, there is now a strong consensus in the medical and ethical literature in the United States that it is the best interests of the patient not the desires of the family or the personal predilections of the physician which ought to prevail. That standard does not rest on autonomy or an attempt to determine what the patient would have wanted, but solely on a concern for the patient's welfare. Such protection is particularly important with regard to infants and children because with it they are now seen not merely as the pawns of parents, but as patients in their own right. The implication is that although parents may continue to be involved in decision making for their children, they do not have an absolute right to refuse— or to require—medical treatment for their child. It is the child's best interests, and those alone, that are to be the focus and goal of medical treatment decisions made on behalf of children. Children are not "pawns of parents," the authors say. In his most recent blog Wilkinson says it another way: children are not "property of their parents." It seems to me that if we leave it at that--not pawns, not property--and say nothing more about what children are to their parents, then it's very hard to make sense of a part of the approach Wilkinson supports. Why is it that, though parents don't have an "absolute right to refuse," they "may continue to be involved in decision making for their children"? There is some kind of special entitlement of parents to their kids that is not respected if we seriously, literally, across the board, adopt the best interests of the child standard. If we really did so, in all domains, many parents wouldn't even be allowed to have custody of their biological children, considering the availability of better equipped adoptive parents. But no--they're your children, so you get to keep them and you have quite a lot of decision making power when it comes to the way they are raised and treated. I believe this is the consensus, both in the US and the UK. But there are limits. When parents start to make decisions that are too extremely at odds with professional medical judgment, they lose their prerogatives. So it's not that the best interests standard is the only one, and is allowed to prevail in every situation. It starts to trump everything else when the stakes start to be greater. Parents are not allowed to make terrible medical decisions on behalf of their children. 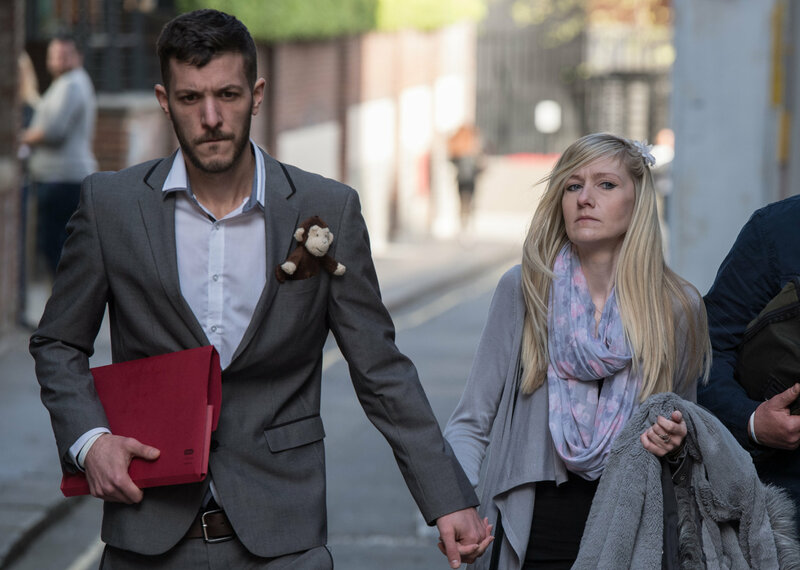 If that's right, the question in the Charlie Gard case is not simply whether it would be better for Charlie to be taken off of child support, but whether it would be glaringly, obviously better. Are the parents making a huge mistake by trying to take him to the US, a mistake of the type that should remove them from making the ultimate decision? In the end, it doesn’t matter that Charlie Gard has become a household name. He is, ultimately, the child of Connie Yates and Chris Gard and they know better than hospitals or the courts about what is best for their terminally ill son. No, parents don't magically possess a better understanding of what's best for their children than anyone else. For me to think think the parents should decide, I'd have to think what they want does make some medical sense. From all I have read, it sounds like they want to make a bad decision (Wilkinson is convincing about this), but I'm not sure if it's bad enough that they should lose the usual prerogatives that come with being parents.